I am a very lucky because the WAGS (wives and girlfriends) of Drew’s buddies are all super fun, cool and very into food. At this point I just think of these ladies as dear friends, but back when we were thrown together at social functions and barely knew each other, we bonded over food. These girls love to eat, cook and drink the best of the best. A potluck in our gang is something to brag about as you can see below. 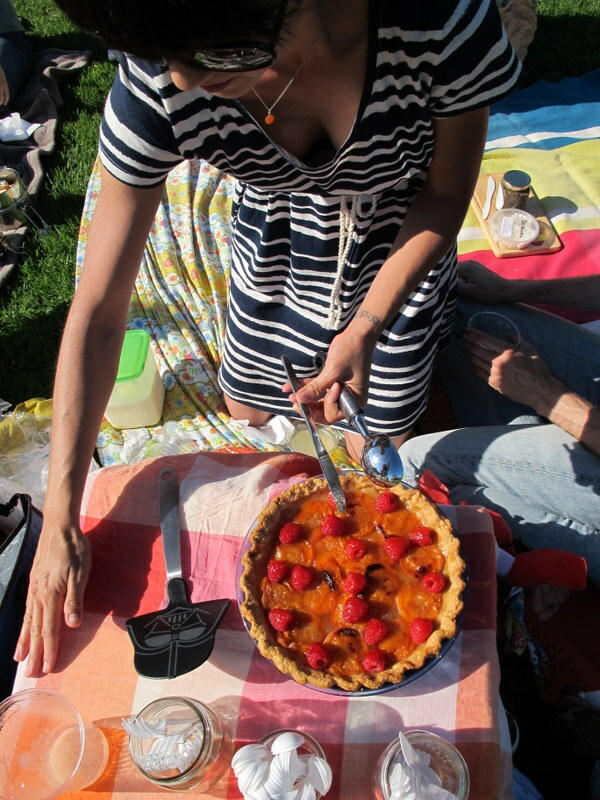 We had a picnic in Barnsdall Art Park to celebrate Anjali’s birthday. Everyone brought something really beautiful and meat free since the birthday girl only eats sustainably raised meats. So considerate. 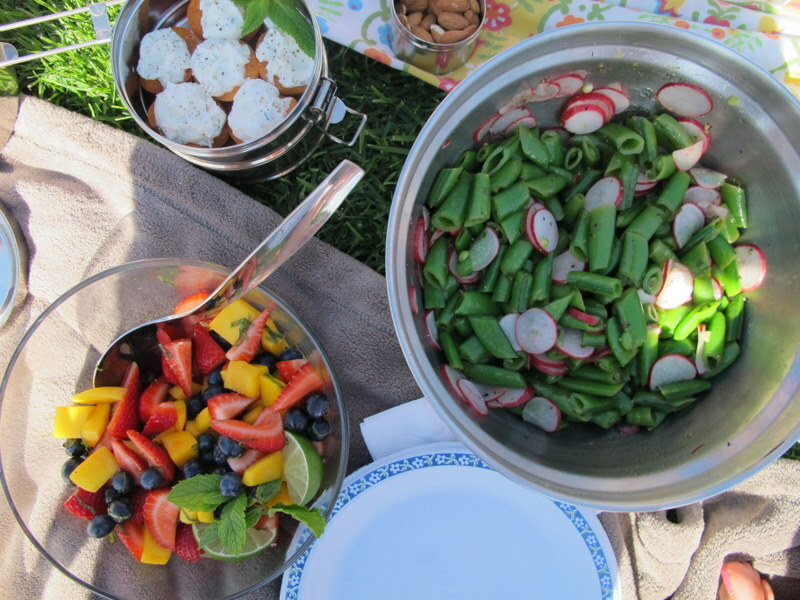 Elan made a version of this snap pea and radish salad with mint, Sandra made a fruit salad with mint and fresh lime and I brought honey-ricotta stuffed apricot halves. We shared this Mango-Cucumber Wine Cooler and I brought A & O Sherry Lemonade too! 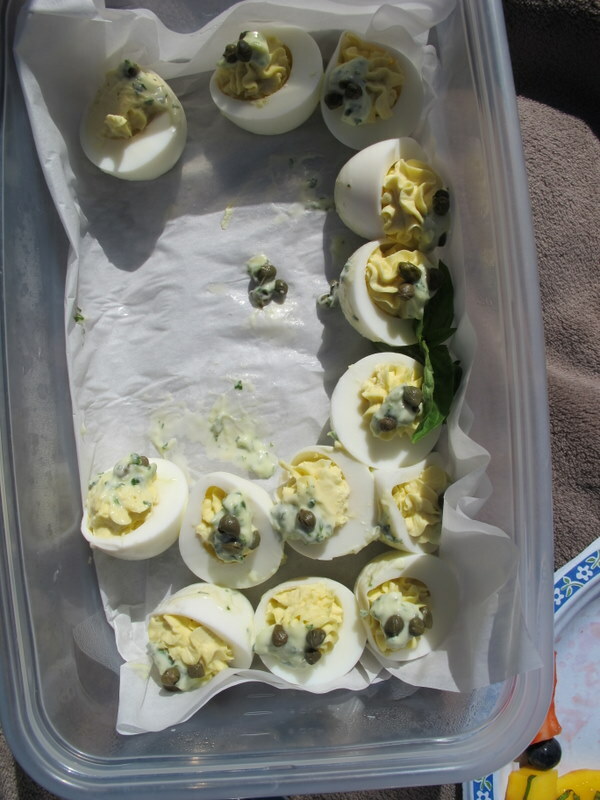 Anjali and her sister made these DIVINE basil aioli deviled eggs, which toppled in transport but tasted delightful none the less. 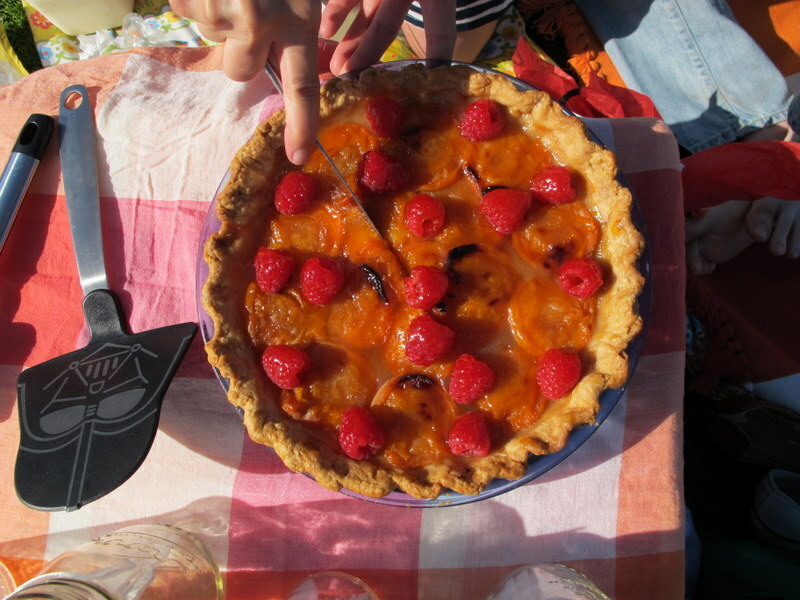 Dessert was fantastic, apricot and raspberry pie with homemade ginger ice cream (The Perfect Scoop recipe is perfection) care of the Prasertong Sisters. Pie serving was made easy with a Darth Vader spatula. We washed down our gourmet picnic with the afternoon sun and then disbanded when it dipped behind the buildings of Sunset Boulevard and into the ocean. It was one of those evenings that reminded me why I love living in LA. Friends + Food + Fun + Frank Lloyd Wright. Sounds like a divine day!